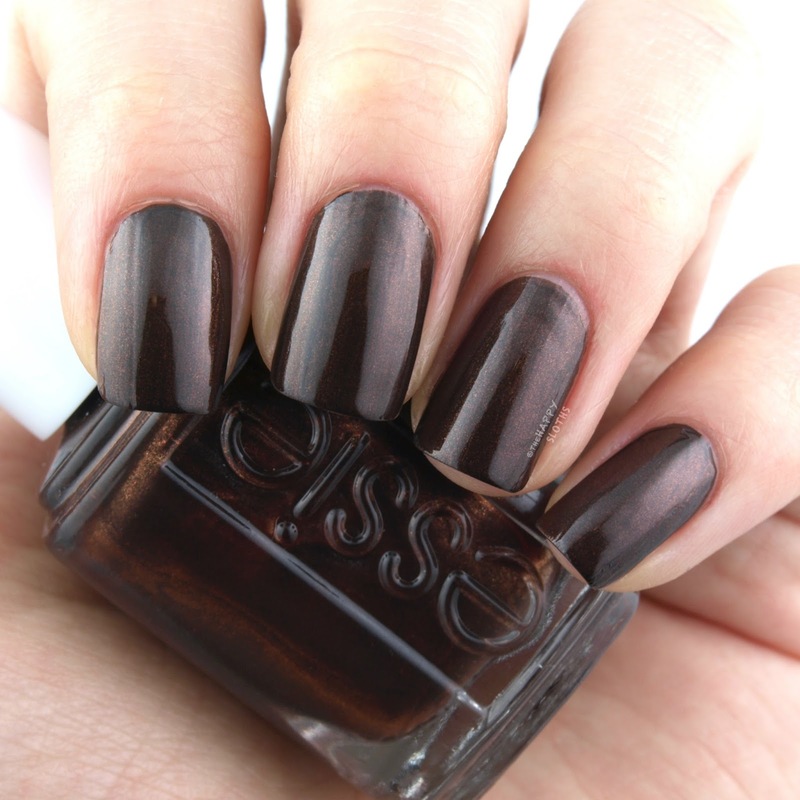 Described by Essie as a warm terracotta beige, Less is Aura is a sophisticated neutral beige-brown cream. The formulation is perfectly pigmented and smooth. I used two coats for the swatches below. Undoubtedly my favorite out of the six, Blue-tiful Horizon is a very unique dusty gray-blue dispersed with fine scatter of iridescent orange shimmers. The formulation is decently pigmented and opaque in two coats. 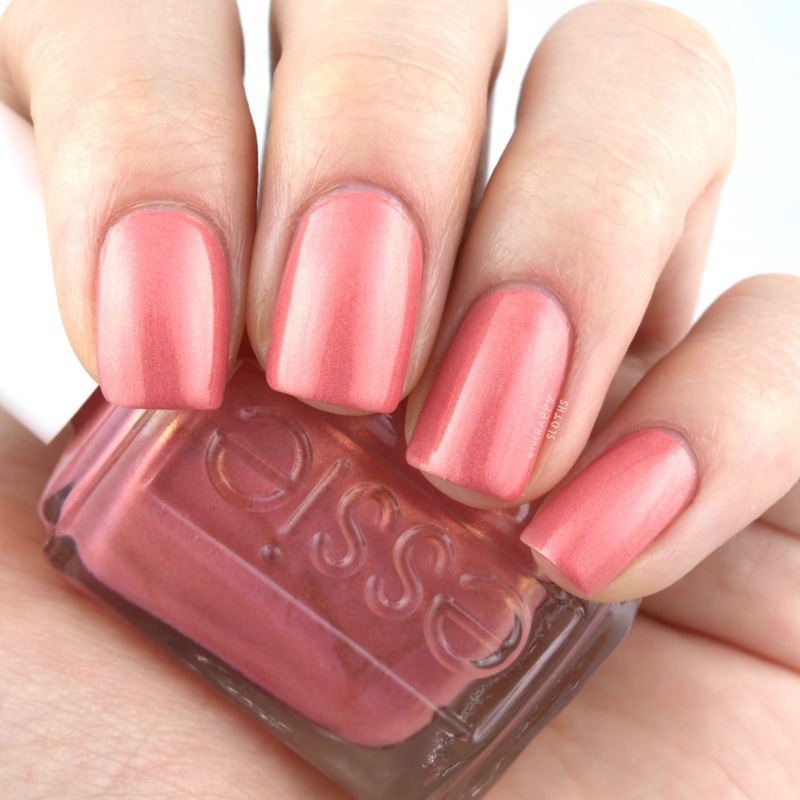 Essentially a pink version of Blue-tiful Horizon, Let It Glow is soft rosy coral with iridescent orange shimmers. Unfortunately, the formulation is quite sheer. With a skillful application, you can probably get a decent coverage with two coats but I needed three to achieve an opaque and even finish. This is a dark mahogany brown packed with pretty bronze shimmers. The formulation is very pigmented and creamy but I find that the shimmers appear a lot more intense in the bottle than on the nails. 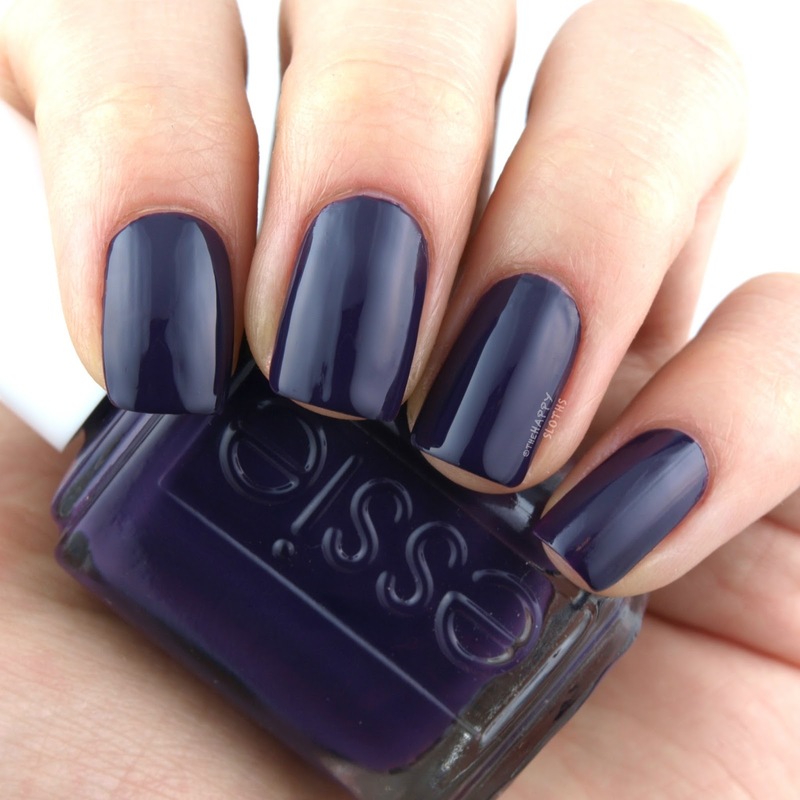 Nevertheless, this is a very unique and rich color. A neutral seashell ivory, Lighten the Mood is surprisingly pigmented and non-patchy. This is one of those shades that's difficult to capture on camera. I think it looks dustier and less pink in person than how it turned out in the swatches below. Last but not least is this inky deep violet cream. The formulation is incredibly pigmented and creamy. I used two coats for the swatches below. 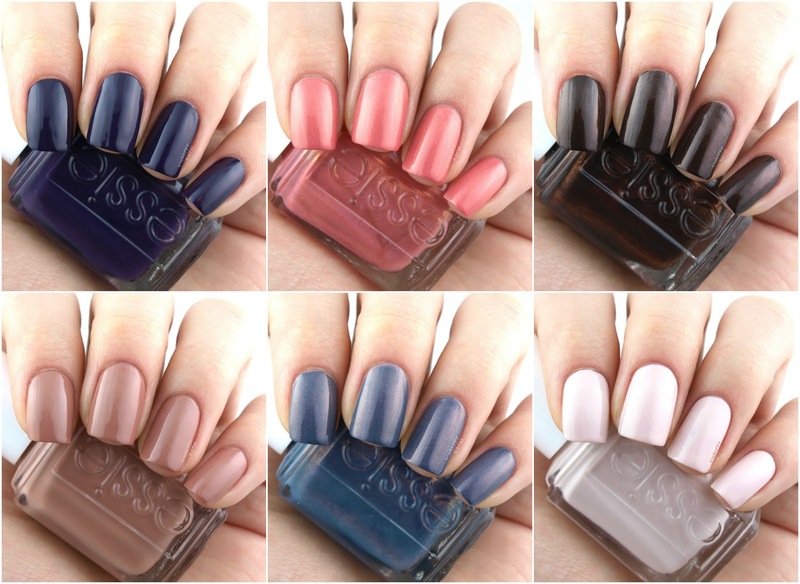 This is definitely one of the more original collections Essie has put out in the recent years. 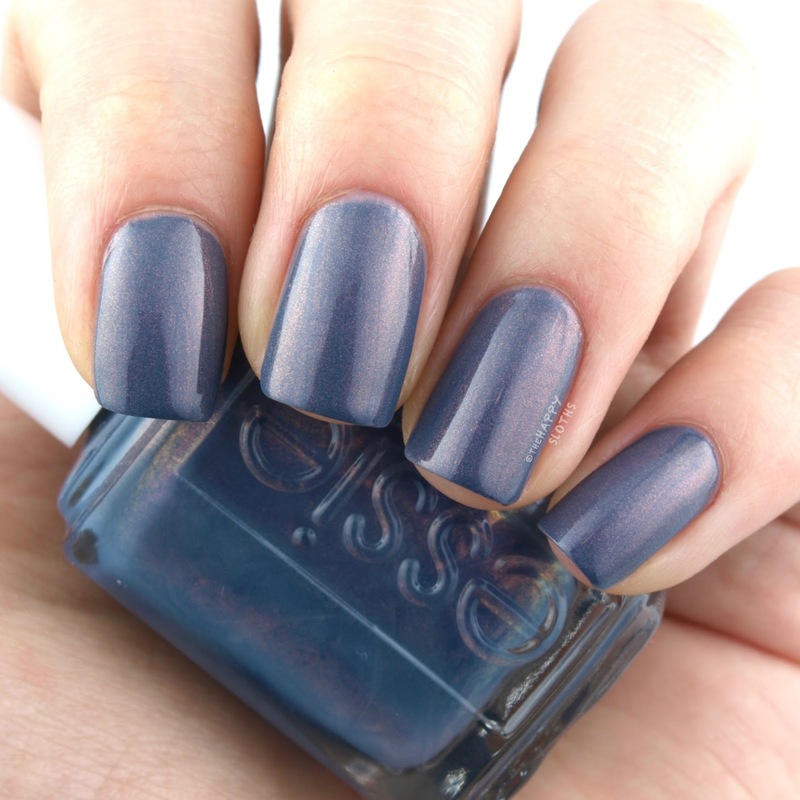 The majority of the shades (with the exception of Let It Glow) is a perfect two-coater. My personal picks are Blue-tiful Horizon, Less is Aura, and Lighten the Mood. What's your favorite shade? Share with me in the comments below! 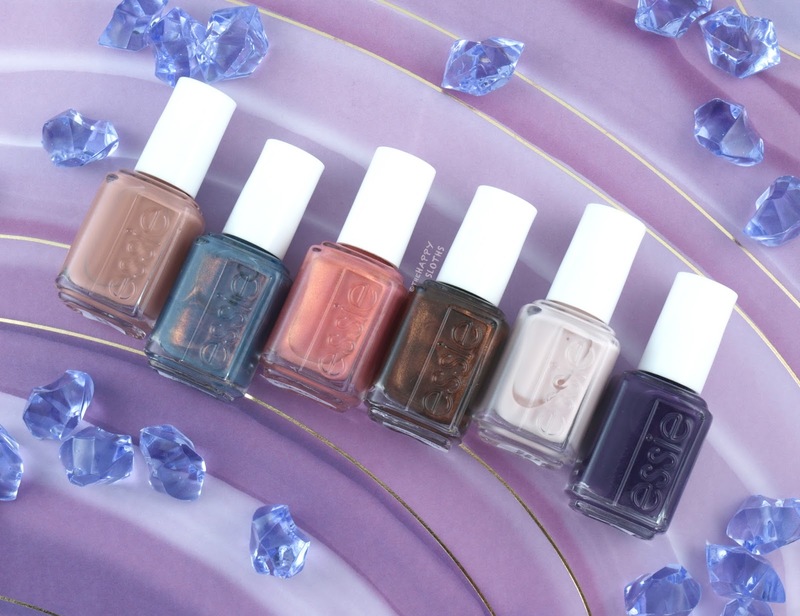 The Essie Desert Mirage Collection is available starting December 2017.